Where is the Appaloosa Horse from? Appaloosa were originally found near the Palouse River flowing through Northern Idaho and Eastern Washington State. The Nez Perce people bred these horses to be strong, fast and intelligent. What does the Appaloosa Horse look like? The Appaloosa stands 14 hands and up. 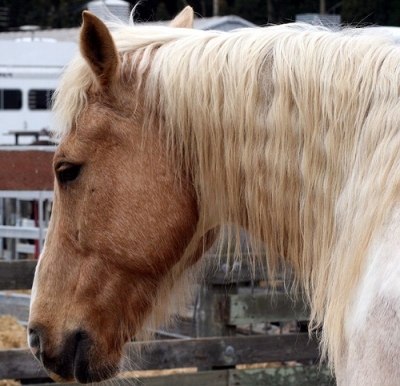 They have vertically striped hooves and short manes and tails. Appaloosas have very distinctive coat patterns: Leopard (large dark spots on a white body); Snowflake (dark body with light spots); Marble (light coat with small dark speckles); Frost (dark coat with small light speckles); Blanket ( white on hips and loins, sometimes with darker spots) or even solid-colored. What are some facts about the Appaloosa Horse? 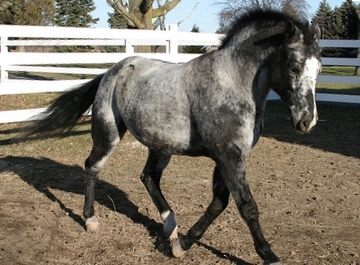 The Appaloosa is the State Horse of Idaho. They are used in a variety of sports – rodeo, jumping and endurance riding are some. Appaloosas have also appeared in Hollywood movies.